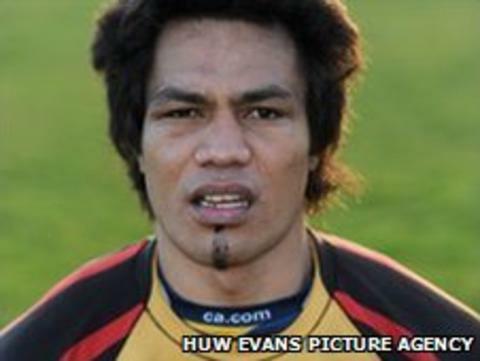 The Scarlets have signed Tonga lock Sione Timani on a two-year contract. The 26-year-old played for Carmarthen Quins in the Welsh Premiership last season and impressed for Tonga in the recent Churchill Cup. Timani is expected to add to his three caps in the forthcoming Pacific Cup and then September's World Cup. "This is a great opportunity for me to play for such a respected and well-known club and I hope to fit in well with the group," Timani said. "The Scarlets... play some great rugby and I'm looking forward to being part of the team." The 19 stone, 6ft 5in Timani is the brother of Sitaleki Timani, who starred at lock for Australian Super Rugby side the Waratahs last season. Scarlets head coach Nigel Davies said: "Sione brings physicality and a real presence to our second-row options and bulk, which you need in the pack to complement what we have in our group already."